Prevention is the best medicine, as they say. In this instance, careful packing, proper packing materials, and labeling can help prevent damage. OK, so this is sort of another “before” step, but it’s an important one. 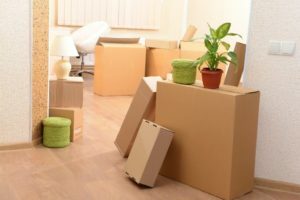 You are far more familiar with your household items than the movers, so you are the one in charge of making note of any damages. You’ll be able to tell if the scratch on the coffee table is new – or if it was from your son’s overzealous hot wheels races 4 years ago. You’ll be in charge of checking over your items and signing off on the inventory. It’s a good idea to take photos of the larger, more valuable, or more fragile household items before you move to provide a solid “before” picture. When you find damage, be sure to make notes and visual documentation (photos or video) of the damage for reference for the claim. We understand that having something damaged or lost in a move can be frustrating. We at On the Move do our best to prevent these situations from happening and will do everything in our power to assist when something does happen. If you are ready to move and have questions about the lost/damaged items handling or any other part of the moving process, don’t hesitate to contact us!